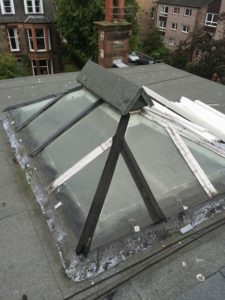 At W & S Christie Roofing we have been offering more than just roofing repairs since 1810. 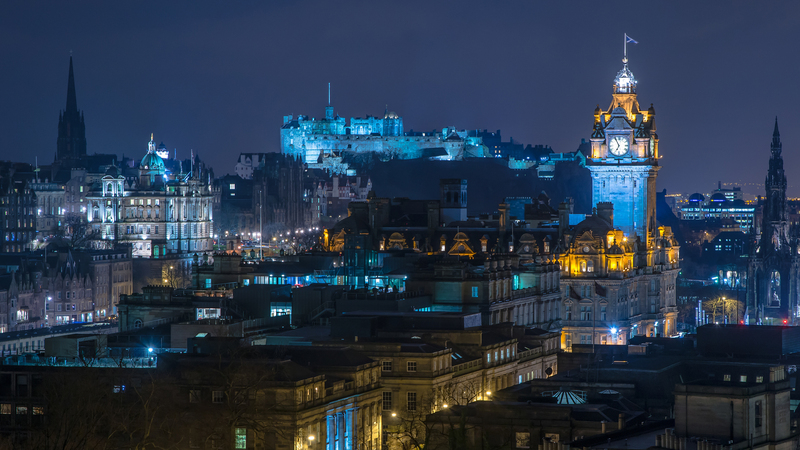 Many of Edinburgh’s buildings take advantage of high ceilings with cupolas perched on top to add light and dimension. 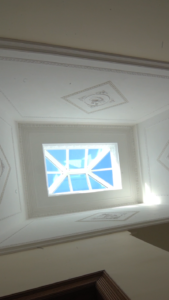 We can maintain existing cupolas or install a new one to brighten up your hallway. 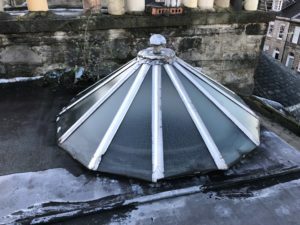 Our tradesmen are trained in installing and maintaining roof lights so you can keep your lighting features fresh and contemporary or more traditional. 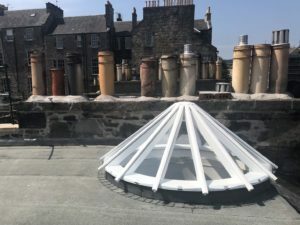 During the late 1980’s and 90’s a lot of old glass cupolas and lanterns in Edinburgh were replaced with polycarbonate barrel-lights and domes, most of which will now be coming to the end of their serviceable life. 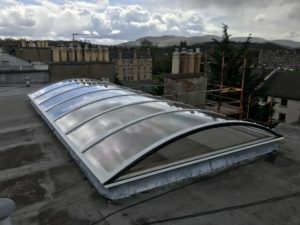 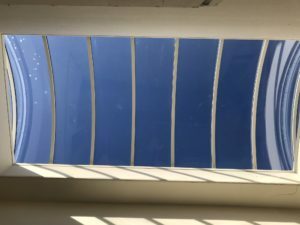 After approximately 15 – 20 years, once the polycarbonate starts to discolour it will progress quite rapidly, especially during extreme prolonged periods of hot sun as we have experienced this summer. 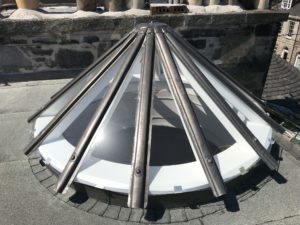 Renewing your barrel-light or dome can make quite an astounding difference. 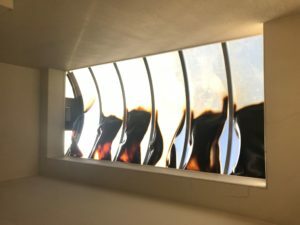 Not only bringing more light to the area below but increasing energy efficiency.